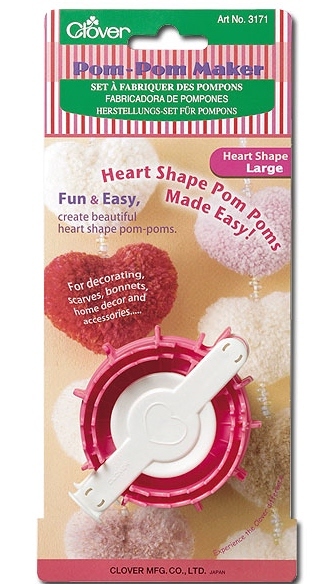 The heart shape pom pom maker is another fantastic gadget from Clover. You wrap the yarn around one side then the other side, cut the yarn, tie with string and trim any longer yarn peices to create a beautiful heart shaped pom pom. The finished size is approx 2-3/4 inch (70mm).